Oh yeah that's half of our redbud, behind the daffodils I drew. It fell down yesterday, I noticed it as I was pulling out of the driveway, it was blocking my view, hanging over the sidewalk. Brenda helped me move the branch, or tree half however you want to view this. Anyway, it would appear that the tree is rotting, there are some sort of bugs in the wound on the tree. 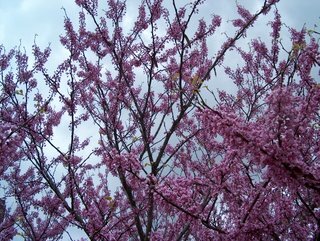 I was wondering why the tree seemed to be missing so many blossoms when everyone elses redbuds were beautiful. 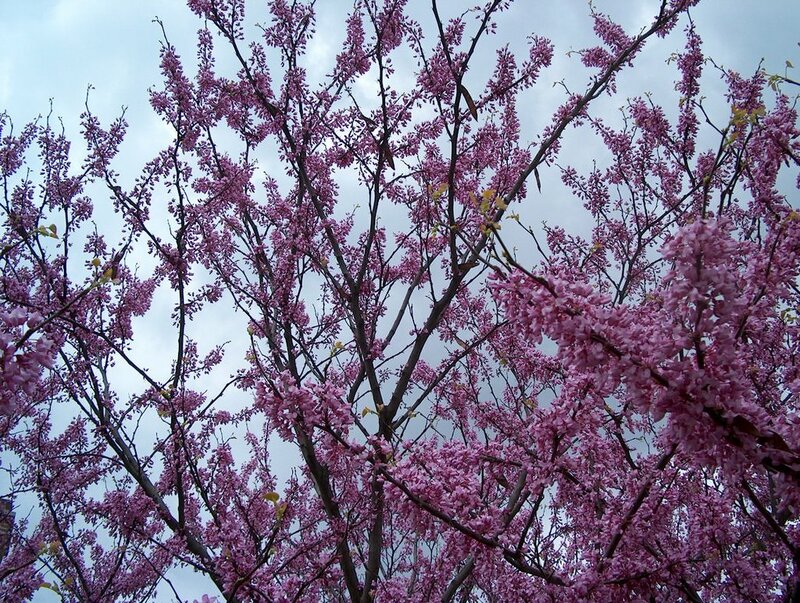 Here's a picture of our neighbors redbud, it's how our tree looked once a upon a time. I'll have to call the city on Monday and have them come remove the tree, since it's technically on their property, otherwise known as the car park strip.